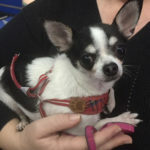 The Pets In Spain animal charity has organised Easter Fayre events at both charity shops on Easter Saturday with an invitation for people to meet recently rescued mothers from a ruthless puppy farm breeder. 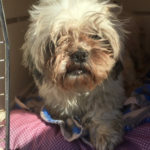 In recent months, and in collaboration with other animalista groups in Spain, they have rescued 70 puppy farm mothers and fathers. 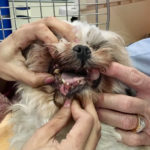 Tallulah is one of them, a Shih-Tzu with an old untreated injury, a broken jaw. She must have endured constant pain even while mothering her puppies, all of which were sold by the ruthless breeder whose only interest was the thousands of Euros raked in from sales. Like all the others, Tallulah, age 4 years, was restrained in a filthy faeces covered cage and used purely as a puppy making machine. She needs three more surgical procedures on her jaw, also on her mammaries and sterilisation. 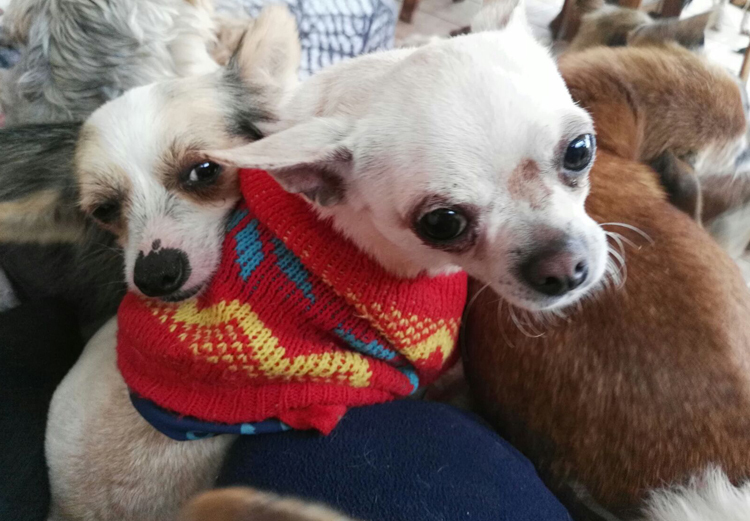 Four adult chihuahua mothers, each just 2/3 kilos, have multiple scars from previous caesarian births. 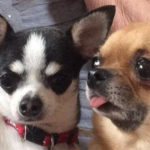 One of them is Oreo, and the reason for her health problems was revealed when the vets at the animal hospital in Guardamar operated on her last week. 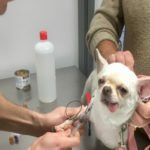 They discovered that during a previous caesarian procedure by person or persons unknown to extract puppies, her bladder, bowel and uterus were displaced causing twisted tubes, blockages and blood loss to her vital organs. At the animal hospital Oreo’s internal organs were realigned successfully and she has been sterilised. 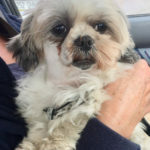 All the rescued puppy farm dogs needed veterinary treatment and some of them have since been adopted, the others, including Tallulah and Oreo, are in caring foster homes and still under veterinary supervision funded by the charity. 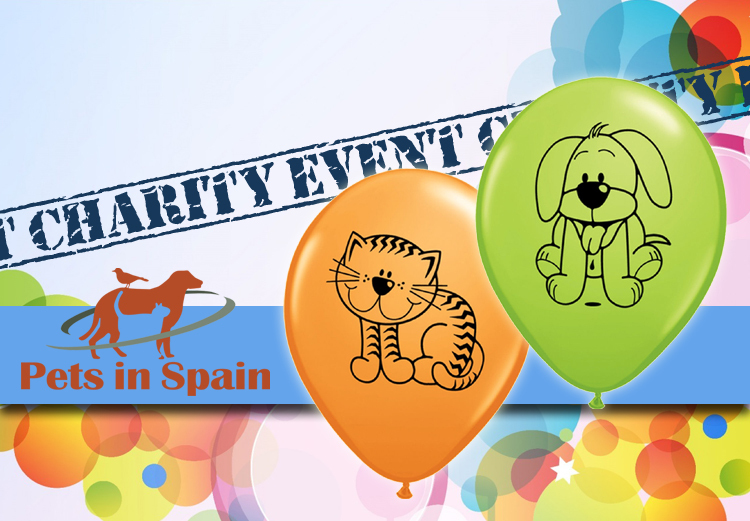 Pets in Spain are having their annual Easter fayre! Come and meet the Puppy farm Mothers and enjoy a tombola, cakes, an Easter raffle, lots of special offers and much, much more! Event takes place on Saturday 31st March between 11am until 2pm at both of our charity shops. Come and see us at our shop on avenida londres, near Barclay’s Properties then come to visit our shop on Calle francisco de Quevedo, next to the Hogs Head pub. Pets in Spain are committed to the rescue and re homing of abandoned and displaced animals, and also run a very successful feral cat sterilization program in the La Marina area. We look forward to seeing you there!. Puppy Farm Breeders Have Just Three Priorities…..Money, Money, Money!